Framework international is a nonprofit whose primary objective is the education and well being of Africa’s vulnerable youth. 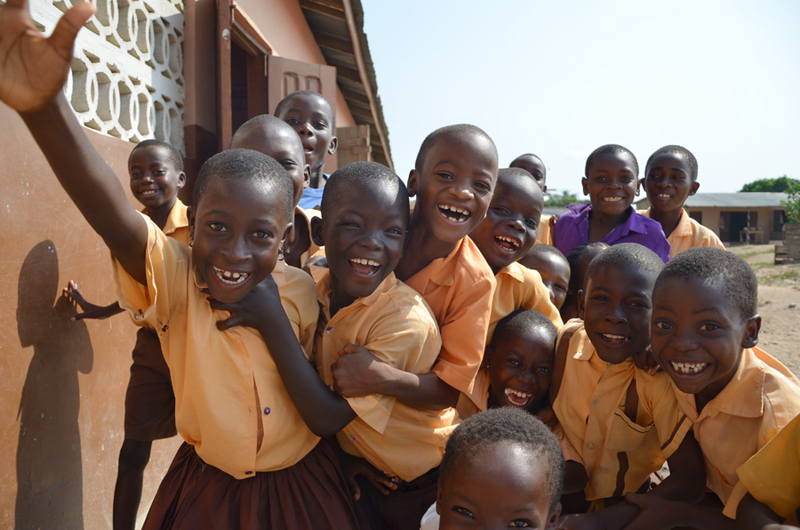 Most of the company’s efforts are spent building schools in and around Ghana to provide children the foundation for a solid education and better quality of life. The organization needed an identity, website, and marketing materials to give confidence and a unified voice to the growing organization. The identity needed to express a sense of structure, optimism, and growth. The layers in the logo represent the physical structure being built, and the gold color the warmth or spirit to achieve great things. 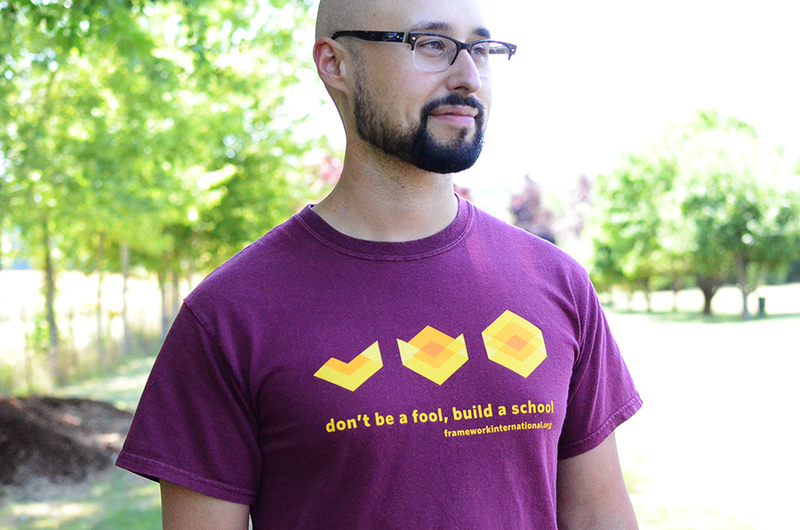 By pure coincidence, the gold and burgundy colors I chose for the identity—based on inspiration from research of colors both symbolically and visually in Africa and the country of Ghana) were the same colors for the public school uniforms used throughout Ghana. In fundraising, one philosophical decision we've made is to try to avoid cliched photos of starving children and guilt-based giving. Instead, we have tried to focus on the stories of specific schools and communities we've worked with, partnerships and empowerment of local people which have made this project a success. 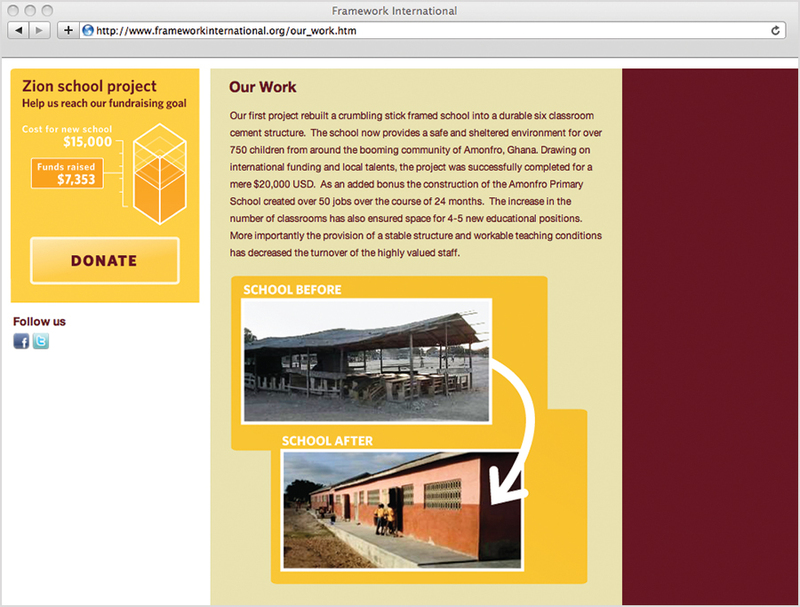 One of the things that was really important to show in the website was the before and after pictures of the school projects. I wanted to show as well as tell the huge impact the organization can have, because the photos show a powerful difference. To further the organization's reach, I helped create a PSA to help tell the Framework story. I provided art direction, designed the animation and graphic elements, and helped supply it with photos I took the when I traveled to Ghana. Emily Hutto volunteered her video editing talents to help bring it all together. In 2008, I joined the board of Framework and took on the role of creative director. Having a creative director involved in board-level decision making means I'm connected deeply to our mission and values, and hopefully have our goals at heart. I can also speak as a user experience designer in development efforts as major decisions are being made. 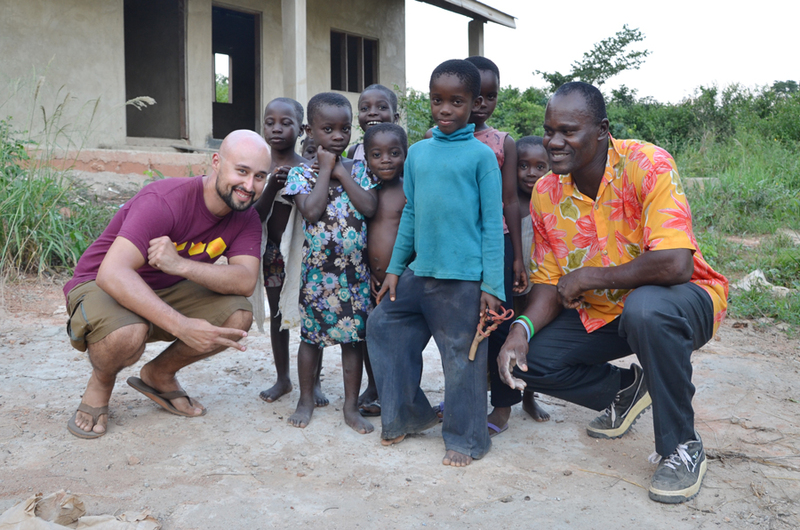 In 2011 I had the chance to go to Ghana and see for myself the building projects, meet with the students and teachers of the schools, and engage with the communities Framework International supports.